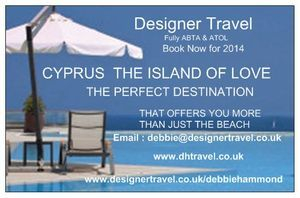 Enjoy a luxury holiday in Cyprus you'll find fabulous five-star beautiful resorts and hotels curious relics from antiquity, fragrant citrus groves and well-loved beaches. You can play golf year-round on fairways perched high above the sea; rock-climb, mountain-bike, pony-trek or para-sail; visit vineyards and monasteries, sail around secluded bays, venture on a Jeep Safari into the amazing green heart of Cyprus or simply unwind on one of the beautiful beaches. Something for everyone with memories to last a life time. Thalassa, is the Greek word for “sea” – a small hotel with stunning sea views Located on a small peninsula overlooking Coral Bay, a stretch of approx. 1 km of beach. The amazing Thalassa Boutique Hotel & Spa is surrounded by sea from three sides. With 58 deluxe bedroom hotel with rooms that offer either a sunset or a sunrise view and features the first holistic spa in Cyprus, Anagenisis. Plus A personal butler for every suite -the first on the island. All suites from a Superior Suite upwards have a personal butler, other rooms do offer this service on request. The Londa offers the intimate Executive Boardroom, Meeting Room flooded by natural daylight or the open air pool bar area, perfect for BBQs and private dinners for up to 80 guests, all delivered with excellent service and care.There are 68 rooms on 7 floors, 27 Superior rooms, 12 Deluxe rooms, 25 Suites, 2 Executive Suites, Honeymoon Suite, and Presidential Suite. Rooms and suites have stunning panoramic sea-views, or look towards the Troodos Mountains or over the animated town of Limassol. Baby cots are free of charge and children up to 12 years of age only stay free of charge in Suite Side View selected dates. Babysitting services are available. where the guests will always receive a warm and friendly welcome. In the lush gardens of Riverside Garden Village you will sense the serenity and personal tranquillity and revel in the stillness of North Cyprus. Hotel details This comfortable family run hotel located west of Kyrenia is renowned for it's friendly service and relaxed atmosphere with customers returning year after year.The hotel has 24 sea view rooms and 4 suite all with balconies offering fantastic sea views. There are also 7 poolside bungalows on ground floor level and family rooms are also available. There is small sandy beach located 200 yards from the hotel and several restaurants and bars are within easy walking distance. Hotel Sempati is open all year round. luxury in Paphos, Cyprus, aptly named Aphrodite Hills Resort. Aphrodite Hills Resort. Said to be the spot where the famous Greek goddess rode from the sea on a giant shell, this truly stunning award-winning sport, leisure and holiday resort is perfect for those looking to get away from the stresses and strains of daily life and be pampered from head to toe.Containing everything you could possibly need from a holiday to Paphos, the Aphrodite Hills resort is the perfect beach beak for romantic couples or families looking for something to suit everyone. Suitable for Families and couples. 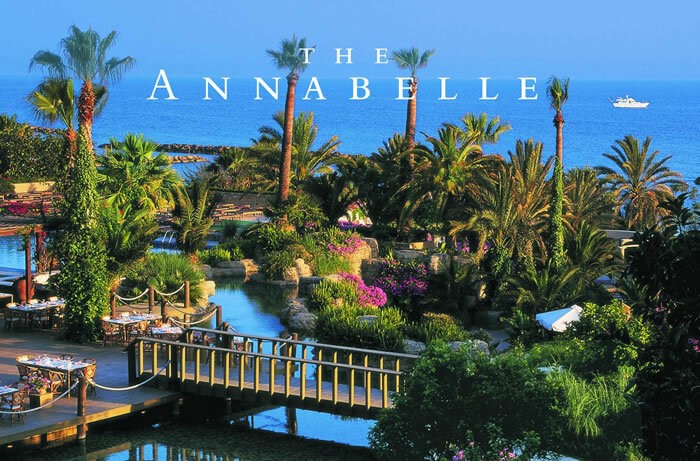 The Annabelle Hotel is in a prime location on the coast, in the Kato Paphos area, a short walk from the restaurants, bars, shops and fishing harbour. Paphos has an Old Town and some historical sites including The Tomb of the Kings and Aphrodites Rock. Plus many seafood restaurants along by the harbour. The Annabelle will appeal to couples and families looking for luxurious accommodation with plenty of onsite facilities, in a great location. Anassa – meaning 'queen' in ancient Greek – is a luxury 5 star resort . Anassa is the jewel in Cyprus's crown: a majestic resort that exudes the charm of a traditional Cypriot village. 5 star luxury spa hotels, amazing Mediterranean location, golden beach, the luxury Roman-style Thalassa Spa to luxury family friendly kids club and beach activities, to the five star silver service restaurants set in beautiful surroundings,serving local, seasonal produce in five 'farm-fresh' restaurants. . From luxury brand boutique shopping to relaxing in the beautiful hotel gardens, drenched in wonderful Cyprus sun. 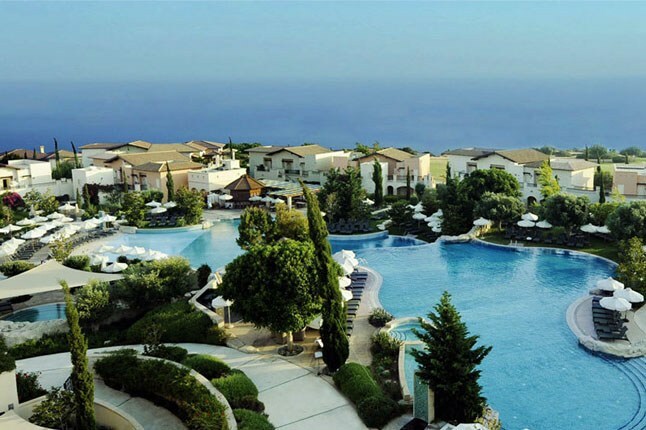 The magical Columbia Beach Resort in Cyprus is located in the amazing tranquil and picturesque Bay of Pissouri on a stunning beach framed by stunning white cliffs. Plus you can relax in our 80 metre long, lagoon style pool, admiring the incredible views of the Med without a care in the world. Then why not spend some time an enjoy the award-winning spa treatments, gourmet cuisine and attentive service. The Attention to detail in interior is every bit as impressive as its breath-taking surroundings. luxury and range of 94 beach resort suites. You can choose from a junior, executive or family suite and discover the perfect place to relax in comfort. all year round a place to stay in the Winter and visit the snow cap Troodos Mountains.